Michael Pedersen is a regular and well-known performer of poetry, and alongside Kevin Williamson is one of the co-founders of hugely successful poetry cabaret Neu Reekie. 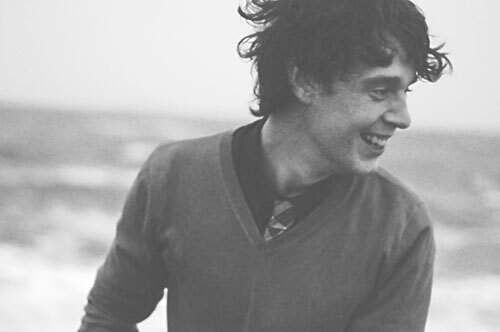 Michael and Kevin’s contribution to Scotland’s poetry scene has been important and the steady growth in popularity and scope of Neu Reekie is testament to the genuine excitement Pedersen and Williamson generate. 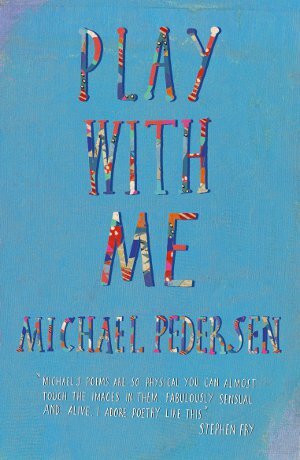 Pedersen is, in person, pleasingly jovial, a disarming attribute that veils the force of his poetry, but which also characterises the nature of his work, which is playful and funny, but includes an emotional generosity that shares undercurrents of loss, sadness, love and joy. Pedersen’s collection moves forward in the logical chronology of autobiography, and the snapshots of days, hours and moments are as viscerally visual as Pedersen’s often electrifying performances. Pedersen is a people’s poet, and despite the geographically dizzying nature of the collection is very much rooted in his Scottish childhood. In RIP Porty High School, his emergence from Portobello High School as the future great Michael Pedersen is tongue-in-cheek and introduces an ambitious, witty voice, whose love for the local intertwines with a kind of grit that suits the often colloquial, chummy tone. This breezy subjectivity is welcoming and easy-going, inviting intimacy but shunning self-pity. Although initially this voice has its whimsical moments, Pedersen has enough control to pepper images of perfect allotments and puberty with short, sharp bursts of humour and irony. These, of course, are stories that Pedersen needs to tell, and the grit takes on most affecting form in poems that require bravery: Manchester John, about a friend brain-damaged after an overdose, ‘shuffling as if you walked/ on constant snow’, exhibits a sparing touch as the knowing voice of youth spins into a repetition of useless ‘sorrys’ that interweave and imitate the dull circularity of the friend’s living death. Equally, Pedersen’s love poems have breathtaking moments, such as the timeless new body of the lover in CJ Easton – ‘that puny frame, its bag of bones/ in winsome skin, will coruscate/ and carousel.’ They sparkle with the same kind of wonder and honesty that Carol Ann Duffy unearthed in her collection Rapture. The collection also covers his Cambodia poems, some of which first appeared in NLP. These use Pedersen’s rich vocabulary to great effect, and ‘thousands of miles from all your news’ Pedersen’s eye runs across everything in his path, blazing colours and fruits and skies, and an old ‘defamer’ whose ‘hexed body filled with AIDS’ adds to the lush, fetid and dangerous landscape of Pedersen’s Cambodia. Pedersen reveals his essence in these poems, a child-like wonder at the world that is as infectious as it is moving: ‘like a rogue pup’; like the ‘giddy’ Cambodian moon, he ‘gawks, from above’. The final section of this collection consolidates the sensation of fizzing, restless energy that lurches the reader through Scotland, France and Cambodia to a Pedersen whose clear-eyed gaze on humanity still believes in ‘love to the X/ year’, but with a renewed sensuality and intimacy where ‘joints creak, skin slips’. Still, Pedersen’s poetry is ‘a pup/ chasing anything/ that moves’. However, these later poems extrapolate on Pedersen’s concern with the transience of experience, becoming more ambiguous as he further explores the tense portal of memory, which sheds moments that ‘come, then go, just the once’. The heady forward tumble of the work, in these moments, comes up against cracks, ‘fissures’, ‘an oxbow lake/ divorced// from its ambitious river’, and endows the collection with the heartbeat-like pulse of the unspoken that is very much to Pedersen’s credit.